According to the U.S. Department of Labor, interpreters and translators can expect much faster than average employment growth over the next decade. The University of Georgia’s Spanish/English Medical Interpreter Certificate expands career choices for bilingual individuals proficient in Spanish and English. 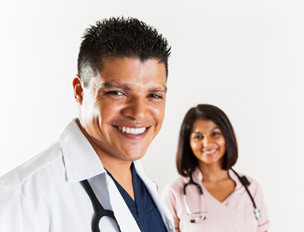 Gain your 40-hour training requirement to work as a medical interpreter. According to the Joint Commission, an accredited hospital must have language interpreters who are qualified through language proficiency assessment, education, training, or experience. The National Council on Interpretation in Health Care recommends a minimum of 40 hours training for medical interpreters. This course satisfies those requirements. If you are interested in earning your CMI Credential from the National Board of Certification for Medical Interpreters, our course is an approved IMIA training program listed in their directory (registry ID: 18-TR-1021). This course is designed for adults and will include medically explicit discussion of topics that are of an adult nature, including but not limited to body parts and bodily functions, sexually transmitted diseases, etc. The class is open to students 18 years of age and up. Minors ages 16 and 17 must be accompanied by a parent or a guardian who must be present in the classroom with the student at all times. We highly recommend that parents or guardians take advantage of the learning opportunity by signing up with their students. Please note that a request and agreement form for registration of a minor is required to complete the application. Call (706) 542-3537 for more information. Interpreters and translators who are entering or currently employed in the medical field or healthcare settings, such as hospitals, physicians' offices, pharmacies, rehabilitation clinics, etc. Saturdays, 8:15 a.m. to 5:00 p.m.
Students will be awarded a Certificate of Program Completion for 4.0 Continuing Education Units (CEUs) upon completion of 40 hours of course work. Timely and successful completion of assignments is required. Written assignments will utilize an online learning system outside of class so you will need access to the internet and the ability to read pdf documents as well as view powerpoint files. Attendance is required for all sessions. You must demonstrate oral proficiency in both English and Spanish during class sessions and you must score 70% or better on the final exam. You must be fluent in both English and Spanish to enroll. Should you not meet the language requirement, no refund of previously paid course fee will be given. The Spanish/English Medical Interpreter course has been approved by the Department of Veterans Services to receive GI Bill funding. Spouses of active duty military members that are eligible for MYCAA and active duty military members that are eligible for Air Force TA and Army TA may contact their education service officer to apply for course approval. For more information regarding military funding for this course, visit our Financial and Military Assistance page or contact our office at 706-542-3537. Scott King has been the lead instructor for the University of Georgia Center for Continuing Education's Spanish/English Medical Interpreter Certificate Program for over ten years. He is the Language and Cultural Diversity Specialist with the Barrow County School System. Mr. King has extensive experience in clinical settings in the Healthcare field and has worked as a consultant with hospitals and other healthcare organizations for the past 16 years as they serve the Hispanic/Latino community. He has a Master of Arts in Teaching Spanish (for Teachers) from the College of Arts and Sciences at Georgia State University and has completed many workshops and training seminars in applied linguistics and psycholinguistics during his career as an educator of Modern Languages. Join our mailing list! To receive the latest updates about the professional development and personal enrichment programs we offer, please use our online request form or call (706) 542-3537.